47 Ways To Relieve Stress And Relax Your Mind Right Now! - Motivate Amaze Be GREAT: The Motivation and Inspiration for Self-Improvement you need! Home Editor Picks Frontpage Inspirational Tips Motivation new 47 Ways To Relieve Stress And Relax Your Mind Right Now! 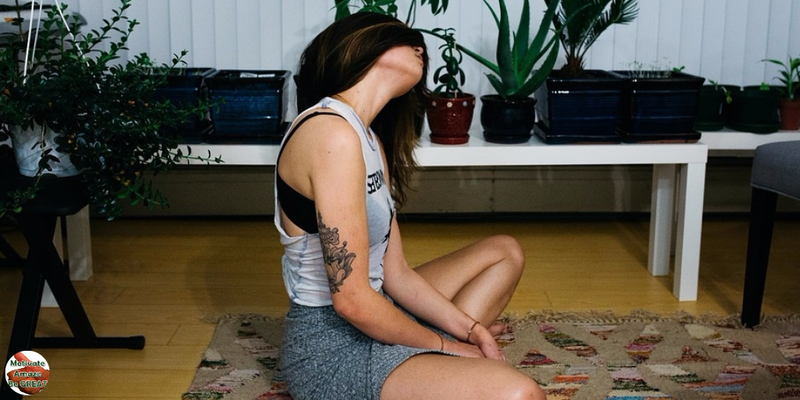 47 Ways To Relieve Stress And Relax Your Mind Right Now! We all deal with stress of some sort in our daily lives. It's one of the top problems in this constant changing world. Regardless of your professional activity, it's indispensable to have a relaxed mind to perform and achieve the things we want. Mind and body are related, and they interact on a daily basis affecting you, whether you want it or not. Although we all know this, it's not easy to come up with ways to relieve stress when stress knocks on your door. It can be hard specially because you can only see one thing in your mind, your stress! The best way is to have a quick to go list where you can easily find ways to do it. 1. Focus your senses. Don't be all over the place, one thing you can control is your body and your senses. Take advantage and stimulate yourself the right way. 2. Go for a walk. Move your body while you can calmly think about your life, walking can be a great way to spark new ideas and thoughts. 3. Notice the simple things. Stop rushing, spend some time paying attention to details in your life. The reason for your stress might seem huge and complex, but if you start caring about small, you'll feel a lot different. 4. Change your posture. Adopt a comfortable and empowering posture, this can change your body 's biochemistry and make a real difference in the way you feel. Mind and body connection remember. 5. Watch funny things. For me a stand up comedy does the trick, but it can be anything that's funny. Laughing while also change the way your body works, and, spark those enzymes and hormones that make you feel great. 6. Release tension in your bod. Go step by step to each muscle group in your body, stay tense for a few seconds then release. If the body relaxes so does the mind. 7. Practice meditation. This a great method, because it goes directly into the mind. Stay in good position for some minutes in silence in a quiet place by yourself. Practice it and you will get use to it. 8. Have a relaxing massage. Someone can help you with muscle relaxation, go for a massage where your muscles groups can release the accumulated tension from the day. 9. Listen to music. It can be calm and relaxed music, like classical composers or ambient music. Or just play your favorite music, song in your playlist that make you feel good. 10. Stretch it out. Do some stretching exercises, hold on for 15-20 seconds each muscle group then relax. Again, if your muscles relax so will your mind. 11. Interact with friends. Talk to a real friend (those you can't always count on), maybe they'll have a different perspective about what stresses you, and you can shift your thoughts about it. 12. Go out and have some fun. Stop standing in one place waiting for your mind to change. Go out and have fun with your friends, change your focus, move your body and laugh abundantly. 13. Avoid sugar. Sugar begets more sugar, it's just like a drug, it feels good in the moment, but you'll feel miserable after the effects passes. You'll need more... and your stress is still there. 14. Write down your thoughts. Think your problem out by writing it down and come up with possible solutions. Take time to reflect and write it down, it will make you creative and your focus shifts. 15. Exercise. A workout has positive effects not only in your body but also in your mental health. Go for a run, lift some weights, go play a sport with some friends, do whatever you like to do to get your body moving and sweating. 16. Visualize yourself in a better place. Visualization techniques can be hard at first but you can get better with practice. Picture yourself in a better place away from all the stress, then see how it feels. 17. Talk to yourself. We all do it everyday, but do it in a controlled way. Sit down and talk to your buttons. Calm yourself down, and find out positive things to say. 18. Focus on each task at a time. You can't finish anything if you're continually changing tasks. Get the time to focus on each task individually, start what you finish. Work ethic brings you fulfillment, that relieves your stress. 19. Breathing exercises. Calmly breath in deeply, breath it all out, repeat as many times as it takes. Give your brain a full supply of oxygen. Notice the change? 20. Ask for a hug. How do you feel after a meaningful hug? Wonderful, now practice more and more with the ones you care for. 21. Have decent sleep. Stress can be caused by lack of resting time. Are you having enough sleep? Get some! 22. Take a cold bath. Cold water and vapor can release the accumulated tension from all body parts. You'll feel relaxed and your mind will be fresher. 23. Count your blessings. What positive things do you have in your life? Start to count them one by one, even the smallest ones. How does that feel? 24. Just dance. Moving your body is important to relax your mind, dancing is awesome way to do it while having fun too. Stop caring about what people think and just dance! 25. Read a great book. Nothing like discovering new things and characters, get a great book and enjoy the ride. Your mind quickly starts to focus on it and ideas start to come to life. 26. Have a cup of tea. It can be a great coffee substitute, with the advantage of having less caffeine and the same alertness and relaxation effects. 27. Get help on the web. You have some that worries you, "google it" in a positive way, that is to search for methods and techniques that can really help you relax. 28. Do something funny. Get your creative juices running. Make a cartoon, sing karaoke, write something silly, crack a joke, prank a friend. 29. Go out to a landscape. Nature can have the power to relax you, by the wonderful sites you can enjoy and the quality of fresh air it provides. 30. Watch a calm documentary. There's some great videos out there about anything that interests you. Nature documentaries can blow your mind, get it? 31. Practice cooking. Creating your own dishes or just experimenting recipes can refocus your mind. Plus all the aromas and smells can trigger your brain to great feelings. 32. Get simple things done. Some people find in domestic tasks a place to find their inner peace. Wash your car, answer those emails, go out with your pet, leave no stone unturned. 33. Stop criticizing yourself. Yes! We are our major critic, just stop it. Know your value and work on your skills. 34. Visit the local zoo. Watching how animals live and interact can take your mind to better places. Suddenly you don't feel so alone in this world and you value what you have. 35. Tell the people you care about something nice. Kindness can make wonders to other people but it surely as a great effect on you. Say thank you, tell people you care you loved them, write messages and so on. 36. Create a schedule and stick to it. It's important not to live randomly, specially because of sleeping cycles and hours to have fun. Schedule your day, make time to sleep and for your hobbies. 37. Learn to let go. The past is the past ok? You can't do nothing about it so let go, focus on the current moment and project the future. 38. Think about your achievements. What have you accomplished so far? High school degree? College? License's driver? Jobs? A family? A car? A house? Wrote a book? 39. Redecorate your environment. Have a fresh start, your environment can affect the way you feel, so change it if you need it. Redecorate your house, your office, your car, whatever. 40. Engage in a new hobby. Discover new things that might interest you. Do it more often, free your mind from the daily routine. 41. Shut down all technology if you can. Yest! Stay away from your smartphone and desktop for a while. Do simple stuff like reading, thinking, relaxing, writing. 42. Have an haircut. You look fresh you feel fresh. Get a new haircut or change the way you look. 43. Read inspirational sayings. Wisdom from other people can really help you, you might not be able to come up with the right things to make you relax. No problem, get some quotes and wise words and read them. 44. Coffee is for closers. Yup, despite the positive effects of alertness it can have instantly, coffee can make you more nervous. It's not wise to drink it when you feel stressed out. 45. Try yoga. Why? Because yoga is an exercising way that combines two things we've talked about changing your posture and breathing. Wonderful combination. 46. Lay down for quick nap. You don't have to fall asleep, some times just laying down and closing your eyes for a while can reboot your mind, you'll feel fresher. 47. Change your routine. Maybe the cause of stress is your routine, well you can change it! So do it, analyze what is hurting you and remove if you can, or try to find ways to do it more peacefully. Have you tried any of these methods? Tells us if they relieved your stress and relaxed your mind. Share this article with your friends and contribute to their lives in a positive way.